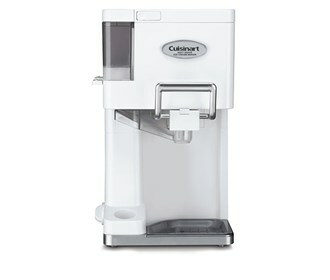 The Cuisinart Ice Cream Maker is ideal for creating quick and easy 1.5 quarts of ice cream, frozen yogurt, sorbet, or frozen drinks at home in just 20 minutes. It has a built-in 3 condiment dispenser which makes it extra delicious. The Soft-Serve 1 1/2Qt Ice Cream Maker has many exciting features for users of all types. You can extend the lifetime of your Soft-Serve 1 1/2Qt Ice Cream Maker with the purchase of a FactoryOutletStore Factory Protection Plan. See the Soft-Serve 1 1/2Qt Ice Cream Maker gallery images above for more product views. 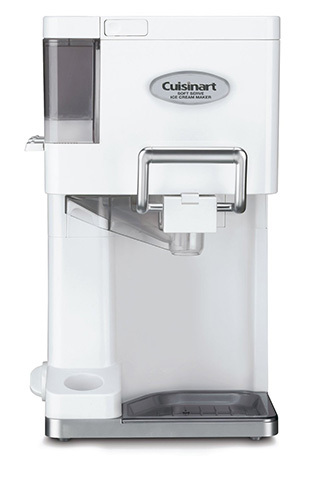 The Soft-Serve 1 1/2Qt Ice Cream Maker is sold as a Brand New Unopened Item.